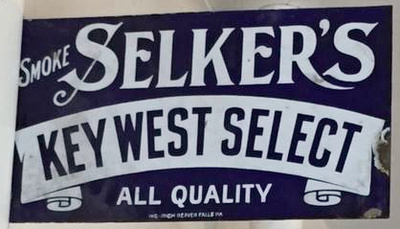 A copy of the Selker sign is shared with permission. The original is in the care of my 2nd cousin 1x, a descendant of Frederick William Selker. Frederick William Selker was a son of Joseph William Selker and Frances Philomena Guth. Joseph William Selker and Frances Philomena Guth are my 2nd great grandparents. Frederick William Selker is my 2nd great uncle. His sister Frances Philomena Selker is my great grandmother.